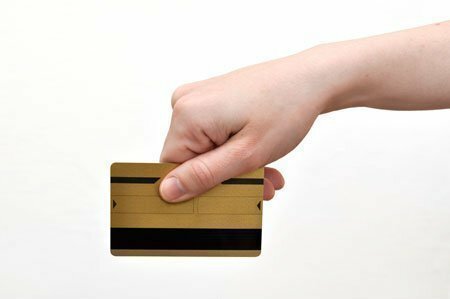 A Smart Card is a plastic card the size of a credit card with an integrated circuit built into it. This integrated circuit may consist only of EEPROM in the case of a memory card, or it may also contain ROM, RAM and even a CPU. Most smart cards have been designed with the look and feel of a credit or debit card, but can function on at least three levels (credit – debit – personal information). Smart cards include a microchip as the central processing unit, random access memory (RAM) and data storage of around 10MB. A smart card is a mini-computer without the display screen and keyboard. Smart cards contain a microchip with an integrated circuit capable of processing and storing thousands of bytes of electronic data. Due to the portability and size of smart cards they are seen as the next generation of data exchange. Smart cards contain an operating system just like personal computers. Smart cards can store and process information and are fully interactive. Advanced smart cards also contain a file structure with secret keys and encryption algorithms. Due to the encrypted file system, data can be stored in separated files with full security. Organizations are steadily migrating toward this technology. The days are numbered for a single mainframe used for computing every directive. Today, the delegation of tasks is being transferred to small, but dedicated smart cards. Their usefulness may soon exceed that of the standard computer for a variety of applications due, in part, to their portability and ease of use. The smart card is an electronic recording device. Information in the microchip can instantaneously verify the cardholder’s identity and any privileges to which the cardholder may be entitled. Information such as withdrawals, sales, and bills can be processed immediately and if/when necessary; those records can be transmitted to a central computer for file updating. 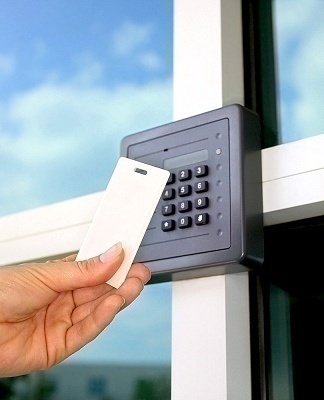 Smart cards are secure, compact and intelligent data carriers. Smart cards should be regarded as specialized computers capable of processing, storing and safeguarding thousands of bytes of data. Smart cards have electrical contacts and a thin metallic plate just above center line on one side of the card. Beneath this dime-sized plate is an integrated circuit (IC) chip containing a central processing unit (CPU), random access memory (RAM) and non-volatile data storage. Data stored in the smart card’s microchip can be accessed only through the chip operating system (COS), providing a high level of data security. This security takes the form of passwords allowing a user to access parts of the IC chip’s memory or encryption/decryption measures which translate the bytes stored in memory into useful information. Smart cards typically hold 2,000 to 8,000 electronic bytes of data (the equivalent of several pages of data). Because those bytes can be electronically coded, the effective storage capacity of each card is significantly increased. 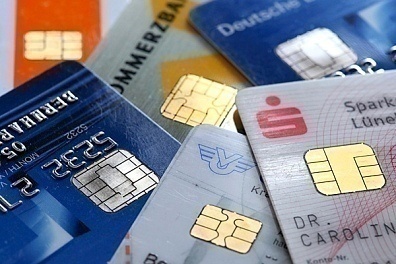 Magnetic-stripe cards, such as those issued by banks and credit card companies, lack the security of microchips but remain inexpensive due to their status as a single-purpose card. Smart cards can be a carrier of multiple records for multiple purposes. Once those purposes are maximized, the smart card is often viewed as superior and, ultimately, less expensive. The distributed processing possible with smart cards reduces the need for ever-larger mainframe computers and the expense of local and long-distance phone circuits required to maintain an on-line connection to a central computer. Smart cards are defined by the ISO 7816 standards. The uses of smart cards are as versatile as any mini-computer. At a hospital emergency room, for example, the card could identify the person’s health-insurance carrier and transfer all necessary information from the microchip to an admittance sheet. Tests, treatment, billing and prescriptions could be processed more quickly using the card. Major clinical findings could be added to the medical information section within the microchip. In the U.S., smart cards are utilized in GSM mobile telephones, in DirecTV and EchoStar satellite receivers, and in the American Express Blue card. Smart cards designed for specific applications may run proprietary operating systems. Smart cards designed with the capability to run multiple applications usually run MULTOS or Java Card. For more smartcards, check out the product offerings from vendors like Infineon Technologies. From a smartcard inserted in a dell keyboard with built in smartcardreader. A smartcardwriter that can copy the smartcard used as an identification. 132 queries in 0.427 seconds.